After managing to sneak one of the last few places available on the North vs South match at Tunnel barn on Sunday i decided to make the most of it and go down for the weekend this meant that i could fish the open on the previous day , after ringing up in the week i found out it would be taking place on New pool which was a water that i hadn’t fished before because i am relatively new to the complex so a few phone calls was required to get a bit of info about it . An early start was needed so that i could miss all the motorway traffic and get to the venue on time for the draw as i was up packing the car with my stuff at 6am before my hundred mile trip to Tunnel barn which went surprisingly easy even after all the 50 mph zones i still arrived at the venue before 8 o’clock which gave me plenty time to have a look at New pool . The lake i would be contesting the match on today was supposedly a snake lake but on looking at it there was a large bay at one end which had no island to fish too and the pegs towards the twenties were well over 16m wide , so not like your typical S canal we get around here although the stocking was your usual main species of f1 carp ide and what turned my match into a nightmare small 8oz skimmers . After booking on at the cabin plus paying the 23 quid pools i waited for draw time and after a bit of a heated discussion between the regulars over what pegs to leave out it was time for the draw , i picked out number 17 which on getting to it put me on the end of the island and it looked as most do on here really good for a few fish with rushes along both margins plus reeds along the far-bank but yet again i didn’t have a mud bank which i felt could be a problem in the warm sunny calm conditions and what little breeze there was blowing towards the other end of the lake into flyer peg ten which one of the locals had drawn . 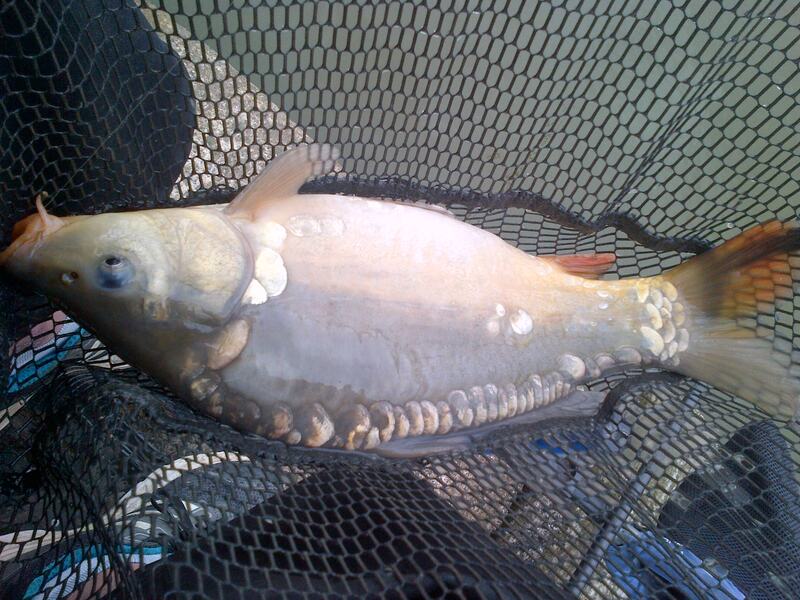 Top kit at 3ft , i was a bit surprised to find it so shallow there because on all the other lakes it was almost 5ft deep and i used a 4×12 Malman Roob float which had a spread bulk an inch apart starting above the short six-inch hook length of 012 garbo hook length my main line was 014 garbo and hook was a size 18 Matrix bagger hook . Across at just under 2ft , yet again i felt this would be too deep but i wasn’t able to get any tighter to the bank due to the reeds my float was a 4×12 Malman Roob which had an inch apart spread bulk starting above the six-inch garbo 012 hook length and my main line was 014 garbo which had a size 18 Matrix bagger hook . Six meter channel rig , i was surprised to find just four-foot and i would use this rig to fish on the deck under where i would be loose feeding maggots , i used a 4×14 Malman Roob float with 014 garbo main line an 012 garbo hook length which had a size 18 Matrix bagger hook attached . 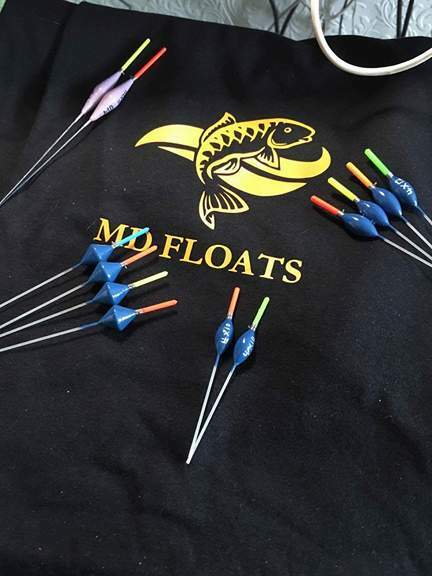 Shallow rig set 1ft deep , this was an 01 Matrix series one float with 012 garbo direct to a size 18 matrix rigger hook with a micro band attached used for hair rigging dead maggots . 2 pints of fishery 4mm + micros which were soaked and mixed together . 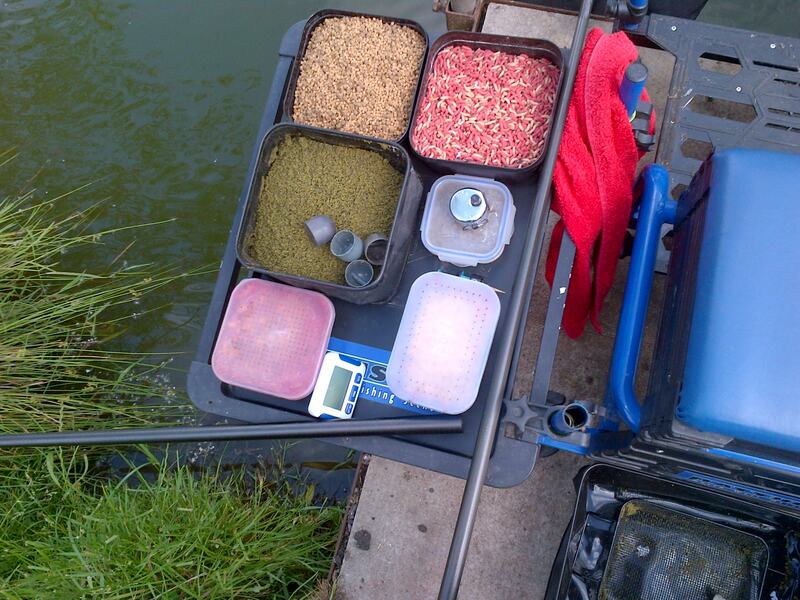 When the all in sounded for the match to start i began on my top kit with a 4mm expander on the hook and fed small balls of softened micros through a kinder pot , after a couple of feeds i began getting indications and it wasn’t long before i had my first f1 in the net but at 8oz it weren’t the stamp i was looking for ! ! 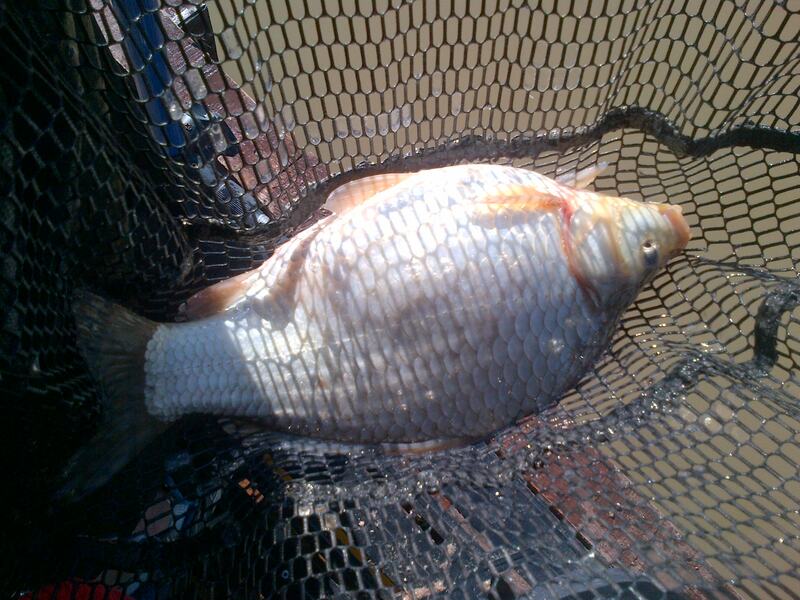 in the next fifteen minutes i had a procession of similar sized fish including some skimmers but i felt that i needed to catch a bigger stamp so after half an hour i began throwing a dozen maggots at six meters to try to get them competing shallow before going on it in the second hour . 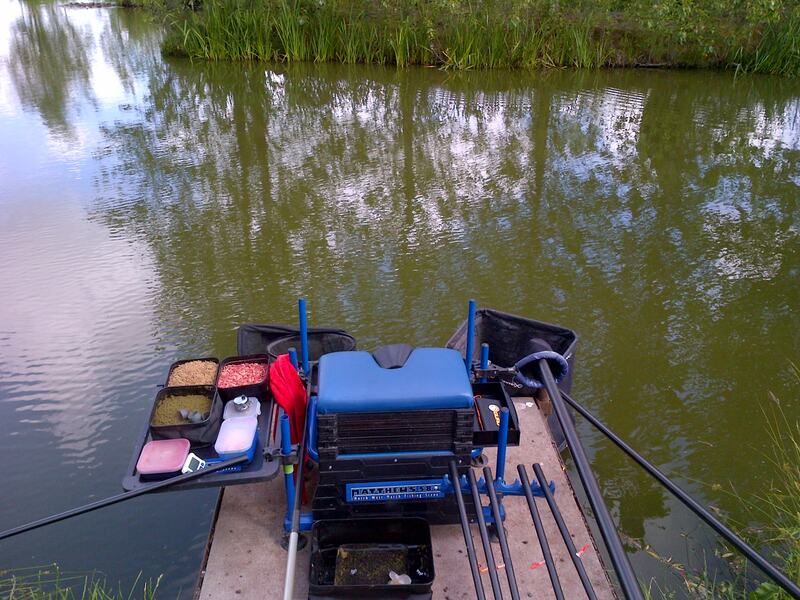 While i was letting them build in confidence i kept plugging away on my top kit and i worked out that if i kept two swims going feeding one the fishing the other i could keep the f1s coming but the little skimmers were a pain even changing to a 6mm expander didn’t make much difference . I noticed a few fish swirling where i had thrown in the loose feed so i took my opportunity to pick up my shallow rig and with two dead maggots on the hook i began flicking my rig over the top but apart from the odd big ide it was noticeably slow , so i decided to try my deck rig this produced a few bigger stamp f1s but yet again the small skimmers were playing havoc in the swim and i was also getting liner after liner but i just couldn’t find the depth they wanted to feed in . After two hours i felt that i had left my far-bank for long enough so i went across with a 4mm expander on the hook although i will be quick to change if i kept missing bites because with extension pool behind me i would need to break my pole down twice , i tapped in my ball of micros before lowering my hook bait among it and it didn’t take long before the float dipped with a flying skimmer making its way to the bank i was beginning to rue the curse of the skimmers but finally after a couple of feeds the f1s muscled their way into the swim and at well over a pound those were the stamp i needed to catch .With half the match gone i began feeding my margins the deeper right hand one with pellets and the left hand one with ground-bait i intended to top up every twenty minutes before going on it in the last hour but i needed to keep an eye out for the ducks because they would clean out my swim if i wasnt careful , while this settled i kept working my far-bank lines but it wasn’t really prolific and maybe i was too positive with the feed or too eager to change swims instead of getting the most out of it ! ! With about ninety minutes remaining i decided to try my margin swims and i went first on to my right hand one with a 6mm expander on the hook i lowered my rig down and it just kept on going with a nice stamp f1 hitting the net i was thinking that i might be on for a shed full but you guessed it my next fish was a small skimmer and i really was cursing my luck , on turning round towards my left i could see some tails waving at me they looked like near double figure carp so being careful lowering my rig in trying not to lay my line over them and with a piece of corn on the hook i pushed my rig tight to the near side rushes . I was getting liner after liner with fish wafting my hookbait all over the place and i was kicking myself for not bringing a few worms because the corn was too light but by leaving plenty bristle showing and being disciplined at striking at only proper gazunders i managed to limit the foul hookers to a minimum , the fish i was catching were big stamp f1s and topping up between fish was becoming a problem because the ducks were coming in as soon as i feed but it didn’t seem to bother the fish .I was soon getting into a rhythm of catch a fish then re-feed and i was catching quite steady but with thirty minutes remaining a couple of the lads fishing the match on extension decided to pack up early and all the disturbance killed my margin swim but instead of fishing else were i stupidly sat it out only catching one f1 before the all out . As i was waiting for the weigh in i felt that i had kept in touch with those anglers around my end of the lake but it was noticeable that the weights got gradually better the further you got to my right so as usual the f1s had followed the wind and when they came to me to weigh in their was three 90lb weights from the bottom of the lake , my nets went 54lb which was a bit more than i thought i had caught but not enough to trouble the top half of the leader board even if i had beaten everyone near me . Well its the big North vs South match tomorrow which is the main reason i came up to Tunnel barn i just hope that 140 anglers on five lakes with every peg being took the fishing will be ok because six hours is a long time when you’re not catching and after its finished i have got a long drive home , the things we match anglers put ourselves through in the pursuit of our fishing ambitions . 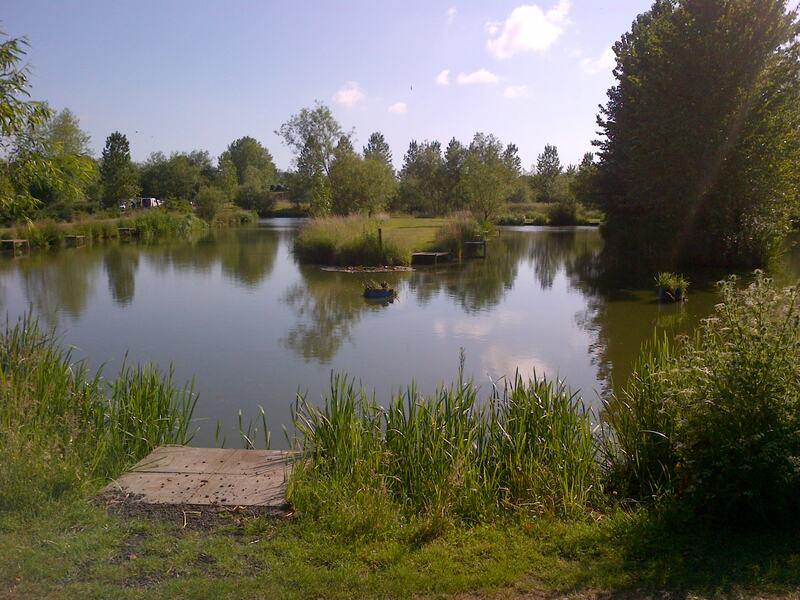 This entry was posted in Tunnel barn farm and tagged Coarse fishing, Common carp, f1 fishing, Fishing bait, fishing shallow, garbo line, Maggot, malman roob, matrix bagger hook, matrix float, matthews580, Mirror carp, Outdoors, Recreation. Bookmark the permalink.